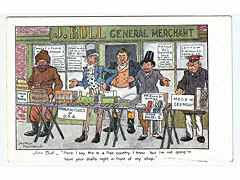 John Bull political comic style, original postcard scripted - Here I say this is a free country, J.Bull General Merchant. No.248C in the Faulkner Series postcards, published by C.W.Faulkner & Co., London. 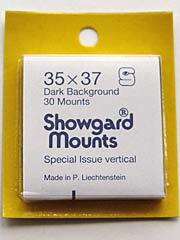 This vintage postcard is in good condition, all corners have slight indents from being mounted in a Postcard album, plus visible mark at the bottom of the card. (Vintage, Collectable, original, John Bull, Comic, Art, Political, Patriotic, Postcard).